Emily Paull- Writer | Fiction Reviews & Creative Writing : Westerly Volume 62 Issue 1 is here! 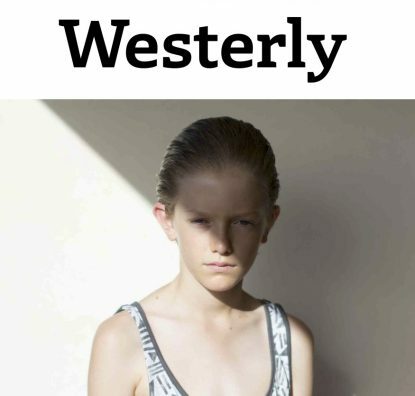 Westerly Volume 62 Issue 1 is here! Front cover image Nina-Marie Thomas, Ten 2017. I'm so excited to have had a piece accepted by Western Australia's longest running literary journal, and to have my work published in the same issue as amazing writers like Susan Midalia and Caitlin Maling. My piece is called 'Sister Madly Deeply'-- it's about the bond between two sisters, and how they cope with a family tragedy. You can get a copy from Westerly's website, and I think there are a few bookshops around Perth who stock it as well.